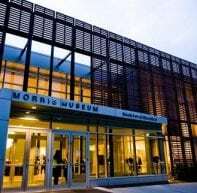 Morris County women have contributed greatly to the history of Morris County, the state and the nation. Making strides and assuming leadership positions, they helped pave new roads for future generations of American women. We thank the Morris County Heritage Commission for providing details on some of these trailblazing women. Please see their website and exhibit for more details. In December 1758, Margaret Kemble married British General Thomas Gage, a loyalist, who later commanded the troops sent to intercede with the rebellion in Boston. While being painted for this portrait by John Singleton Copley in 1771, her dress and pose was construed as a depiction of symbolic allegiance to the Tories. Several historians believe it was Margaret Kemble Gage who supplied General Warren with British troop movement intelligence which led to the historic rides of William Dawes and Paul Revere on April 18, 1775. Gage suspected Margaret, a native colonist, may have had sympathies with the rebels. 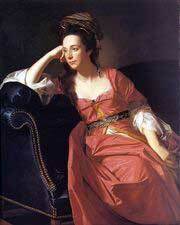 Believing she had betrayed his trust to Major General Joseph Warren of the revolutionaries, Gage ordered Margaret shipped back to Britain. 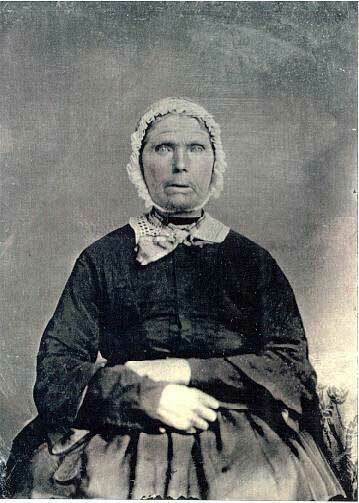 Though her origin remains obscure, Louisa Martha Edwina Sanderson Macculloch was said to have been an actress before meeting her husband George Perrott Macculloch, “Father of the Morris Canal.” In addition to running a household and raising her children and grandchildren, she helped her husband run the Macculloch Hall Academy for Boys from 1815 to 1830. A religious woman, Louisa helped found St. Peter’s church and hosted services at Macculloch hall until a church was built. Active with charitable works for the community, she is credited with helping to establish the Female Charitable Society in 1813. A member for 33 years, she served as the organizations first vice president and later as president. 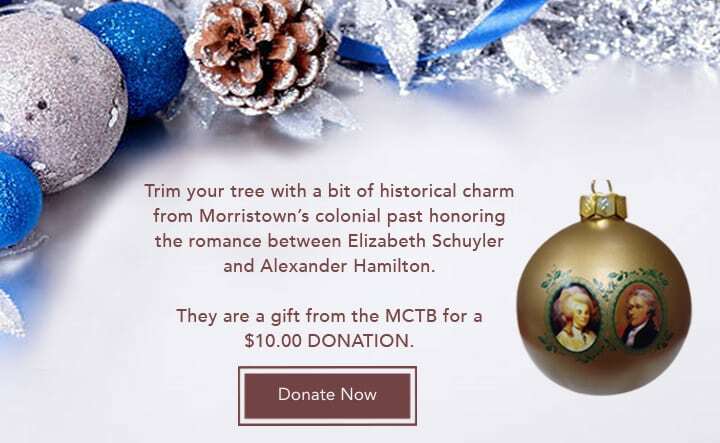 The organization is still in operation today as Family Services of Morris County. Louisa also assisted in the founding of the Female Fragment Society, a sewing circle and fundraising charitable organization that provided quilts and other textile necessities to those in need. Irish immigrants John and Bridget Smith came to Mine Hill and settled in a mining neighborhood known as Irish Town. After her husbands death in a mining accident, Bridget purchased a small, two family house that was built by her second cousin, James Maloney. Pregnant at the time of her husbands death, she lived in half the house with her two children and rented the other half to Margaret Lowe, another Irish mining widow who had six children. The Bridget Smith house stands as a tribute to local immigrant working class women and is now a museum dedicated to local mining labor history. The site is listed on both the State and National Registers of Historic Places. Mother Mary Xavier Mehegan immigrated from Ireland to New York in 1842. 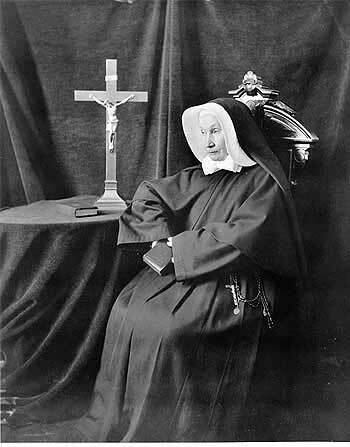 She made her vows as a Sister of Charity of New York in 1847, and in 1857 began her work in New Jersey. The Sisters of Charity of New Jersey opened their mother house in Madison in 1860 at Convent Station. After 1863, Mother Xavier was officially recognized as the Mother Superior of the order. In 1899, under her leadership, the order founded the College of Saint Elizabeth, the first four-year women’s college in the state. Caroline Foster, groomed in all the social graces of her era, was one of Morris County’s Victorian era debutantes. An avid hunter and fisherman who favored sports and outdoor activities over traditional “women’s roles,” Miss Foster also enjoyed carpentry and constructed her own cottage, the “Temple of Abiding Peace,” on the grounds of Fosterfields as a temporary respite from life in the main house. She is best remembered as a farm manager and business woman, she was also an expert horsewoman and enjoyed the outdoors. She was an expert on raising and breeding Jersey cows and once sailed to the Isle of Jersey to purchase stock for the farm. With an interest in local history, she served as a member on the first Board of Trustees to save Historic Speedwell in the mid-1970s. Her larger contribution to local history however was gifting Fosterfields to the Morris County Park Commission, to be preserved as the first “living historical farm,” in New Jersey. Today, Fosterfields lives on as a working farm, using the tools, techniques and materials of a late nineteenth century farm. Alison Low (Turnbull) Hopkins grew up in a socially prominent family at “Feather Leigh Farms” in Morristown. During her early years of marriage to insurance executive John A. H. Hopkins, she became active in many local charities. She later dedicated herself to the woman’s suffrage movement and served on the executive boards of the Congressional Union for Woman Suffrage and the National Woman’s Party. 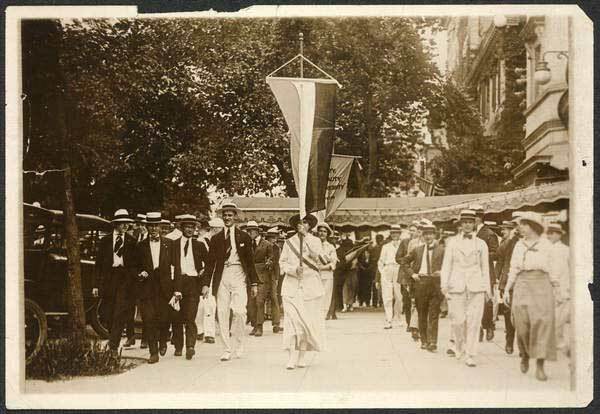 On July 14, 1917, Hopkins and others were arrested for demonstrating at the White House. Hopkins was sentenced to 60 days in jail. She received a pardon from President Wilson at the request of her husband. Due to the efforts of the suffrage movement, the 19th amendment to the Constitution was passed in 1919 granting women the right to vote. Julia Hurlbut of Morristown became involved in the suffrage movement around 1915. Identifying with the radical wing of the movement, she served as vice president of the New Jersey branch of the Congressional Union for Woman’s Suffrage and as a delegate to the National Congressional Union Conference. She was also active in the National Women’s Party when it picketed the White House in 1917. Arrested and jailed during the protests while picketing the White House with members of the National Woman’s Party, she and others were arrested and jailed, then released following a presidential pardon three days later. Afterward, she spent several months speaking around New Jersey on behalf of woman suffrage. 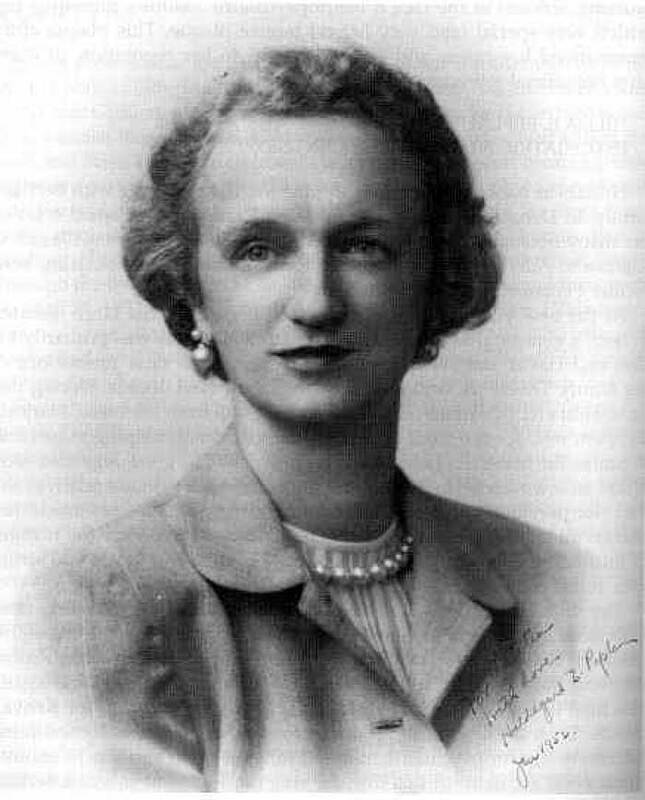 Hildegard E. Peplau, PhD, RN, FAAN, World War II veteran, and long time resident of Madison, was known as the “psychiatric nurse of the century” and was inducted into the nursing hall of fame in 1998. In addition to serving as the executive director and later as president of the American Nursing Association, she also served two terms on the Board of the International Council of Nurses. She served in the Army Nurse Corps from 1943 in England at the American School of Military Psychiatry. Her nursing theories have been integrated into nursing education and practices worldwide. Peplau was a faculty member of the College of Nursing at Rutgers University from 1954 to 1974 where she developed the first graduate level program for the preparation of clinical specialists in psychiatric nursing. Her students did part of their training at Greystone Park. During the 1950s and 1960s, she was an adviser to the World Health Organization, and was a visiting professor at universities in Africa, Latin America, Belgium and the United States. She also served as a consultant to the U.S. Surgeon General, the U.S. Air Force and the National Institute of Mental Health. After her retirement from Rutgers, she served as a visiting professor at the University of Leuven in Belgium where she helped establish the first graduate nursing program in Europe. 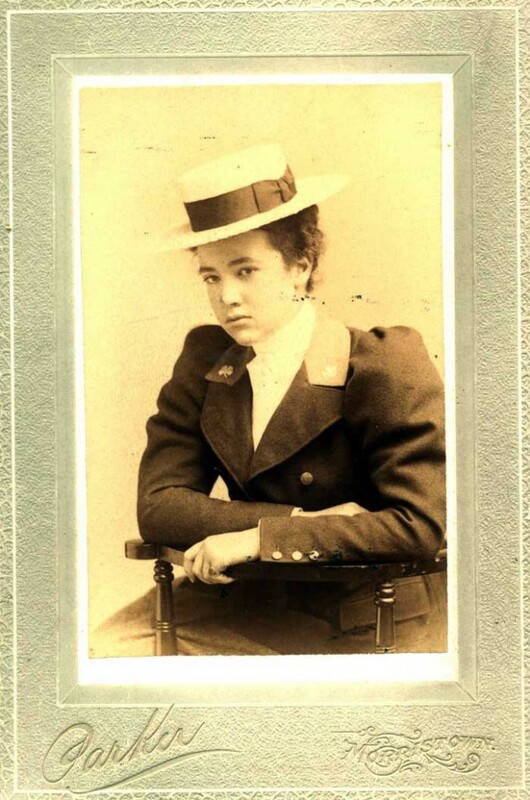 After graduating with highest honors from the New Jersey State Hospital Nurse Training School at Greystone Park in 1904, she continued her education and earned her M.D. 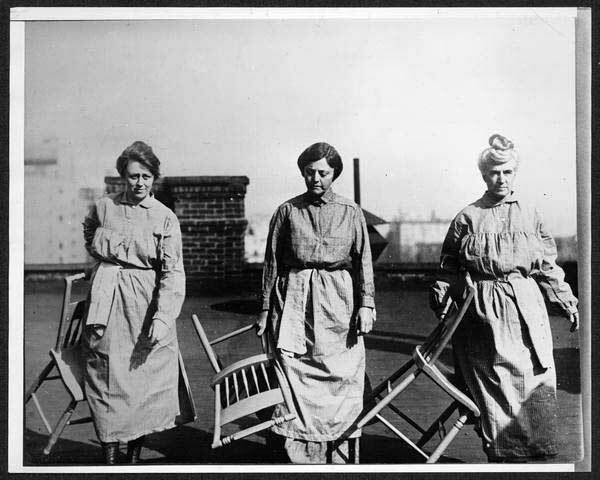 from the Women’s Medical College in Baltimore in 1908. During 1914-1916 she served on the Greystone surgical staff and where she met her second husband, Dr. Raymond Mutchler. Her medical training and interest in civic affairs translated into advocacy for public health and welfare legislation. 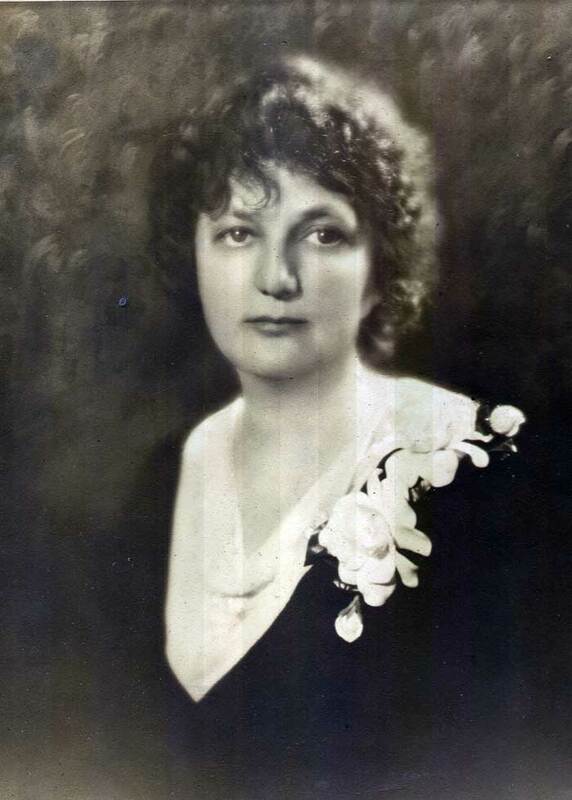 In 1923 she won her first campaign for public office, serving as an Alderman. In 1930, she sought and won the Republican nomination for a seat in the New Jersey Assembly and served for two terms. While in the Assembly, Dr. Mutchler took an active interest in bills relating to health issues, child labor, night work for women, workman’s compensation and opposition to a reservoir in Long Valley. She was the first woman elected to a countywide office in Morris County and the first woman elected to the State Assembly from Morris County. She lived in Dover with her husband, Dr. H. Raymond Mutchler from the time they were married in 1916 until her death in 1943 at the age of 58. How fascinating to learn about these amazing, trailblazing women. Thanks for sharing this with your readers!